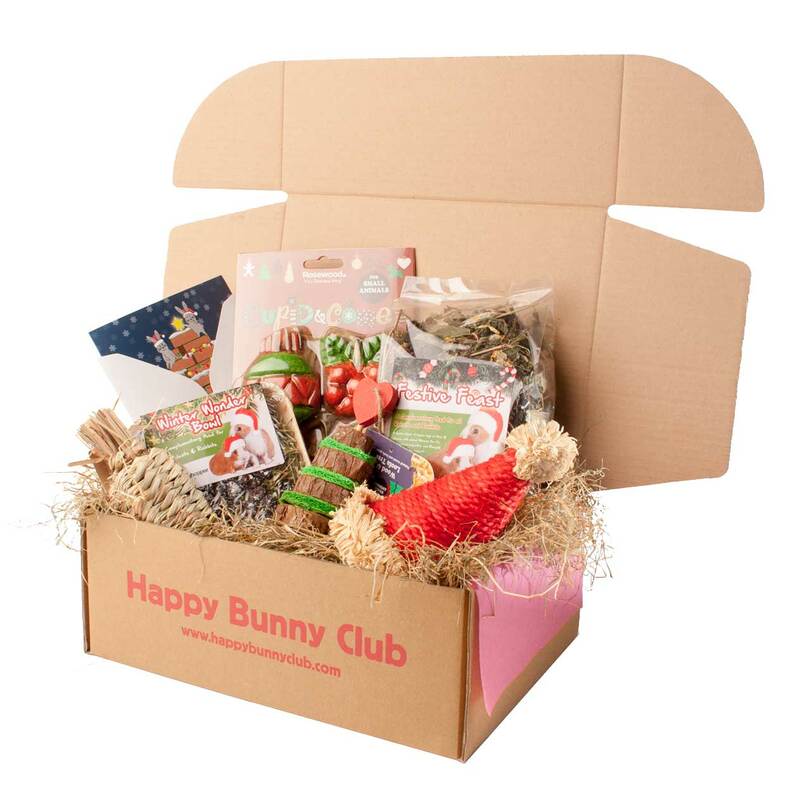 Our Christmas themed box is the perfect gift for your bunnies or for a loved one with bunnies. Each box will contain 6 fantastic festive themed goodies. We always provide a mix of yummy treats and fun toys for maximum bunny enjoyment. Your box will contain a selection of the items seen in our example boxes. For a limited time only, our Christmas box is available to purchase as a one-off, subscription free box. 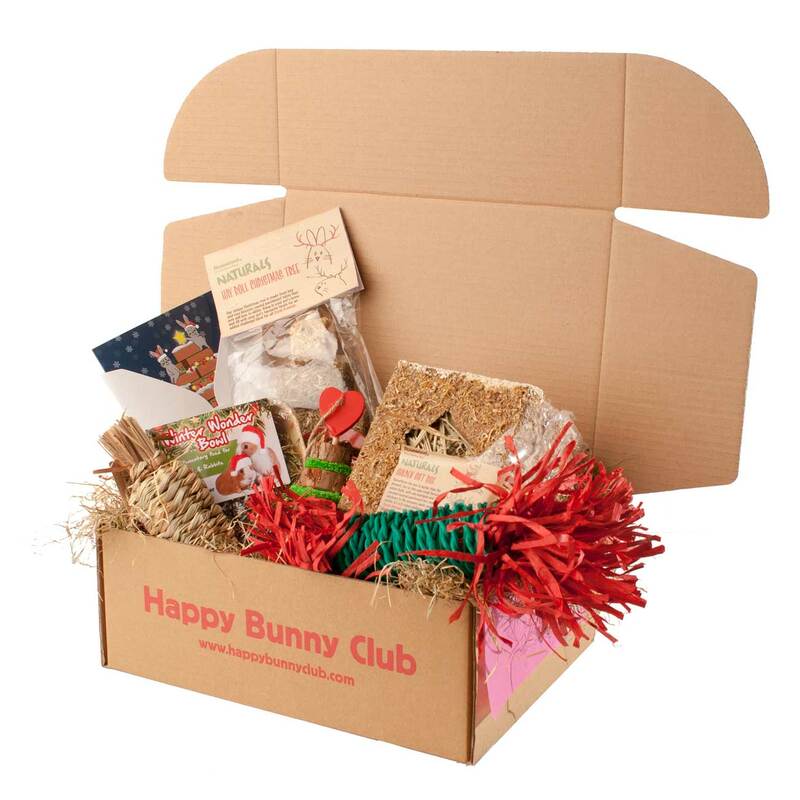 If you would like a subscription (with the Christmas box as your first box), so that your bunny doesn't miss out in the new year, please click here. 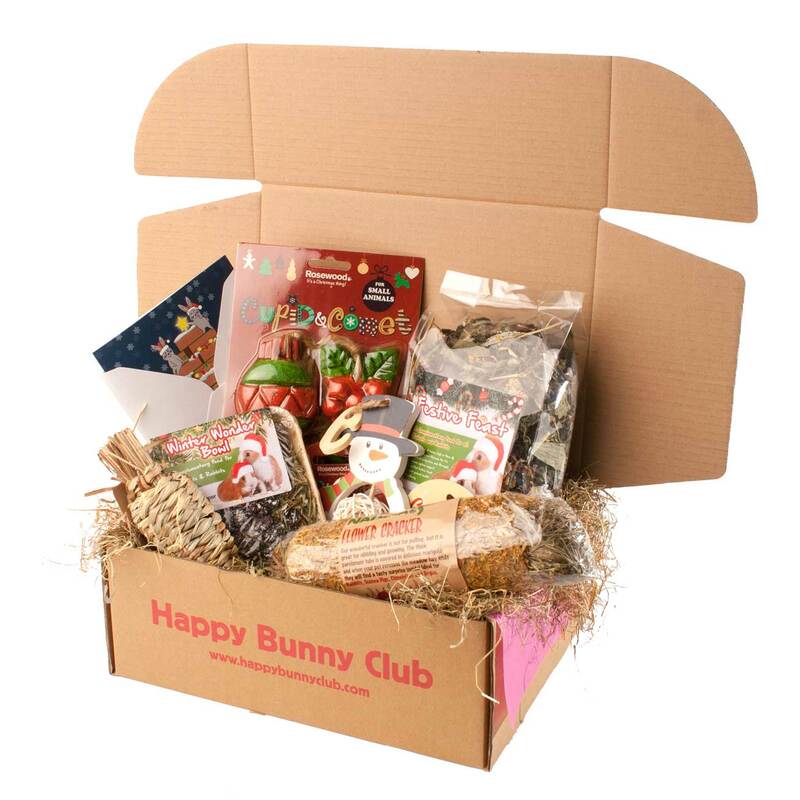 Our Christmas Box is £22, which is approximately $28/€25. We are offering lots of extras that can be included alongside your Christmas box, such as festive themed beds, play tunnels, and extra toys & treats. To purchase any of these bonuses, simply click here, or click Christmas Add-ons at the top of the page. We'll then dispatch these add-ons alongside your Christmas box, which means there are no extra delivery charges no matter how much you order. Want your present wrapped? 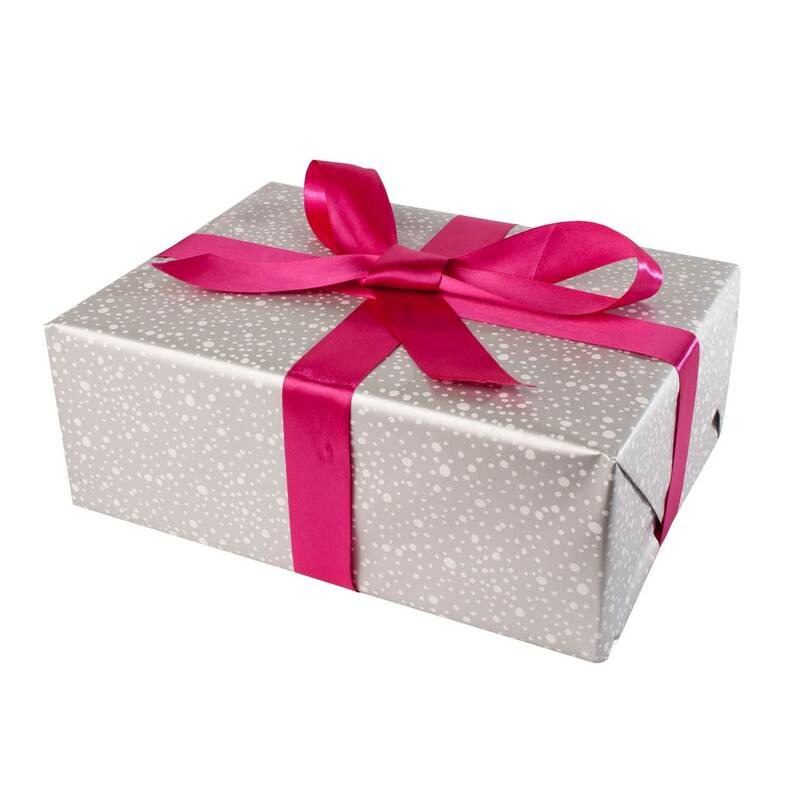 We'll gift wrap your Christmas box with festive paper, a beautiful ribbon and a delightful bow. - £5 (approx. $6.50/€5.50) per box shipping applies to international orders. We ship worldwide! - We are shipping all orders on December 4th. We recommend ordering by this date to allow plenty of time for delivery before Christmas. All orders placed after this date will be dispatched within 2 working days.